Maple Ridge – Ridge Meadows RCMP invites you to join us in cheering on your Special Olympic athletes as part of the Law Enforcement Torch Run. Come to the Detachment this Thursday, June 7th, from 11am to 1pm, for a community event in support of the Law Enforcement Torch Run (LETR) sponsored by the Ridge Meadows RCMP. 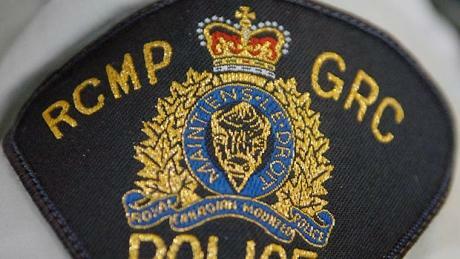 Special Olympians from Maple Ridge and Pitt Meadows will be joined by police officers from the Ridge Meadows Detachment and other police agencies to participate in a 2km fundraising run. There will be Bar-B-Que food for purchase, music and a chance to meet your Home Town Hero Special Olympians. 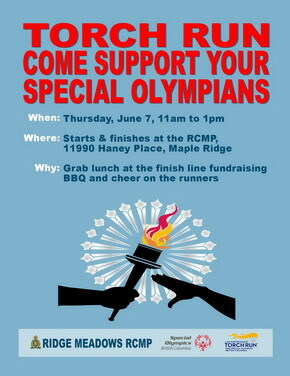 Be the first to comment on "Ridge Meadows RCMP – Special Olympics Law Enforcement Torch Run – Thursday June 7"